Overcoming unhealthy habits with laser-vision focus, the 24-year-old prides herself on being an advocate of health for all ages, with her brand-new title just one of the many goals on her overflowing vision board. A Round of Applause for Your Round 3 IsaBody Challenge Honourable Mentions! Check out the inspiring transformations of our 2017 Round 3 IsaBody Challenge Honourable Mentions! Congratulations to our IsaBody Challenge Grand Prize Winner 2018 for her commitment to embarking on a life-changing transformation journey! 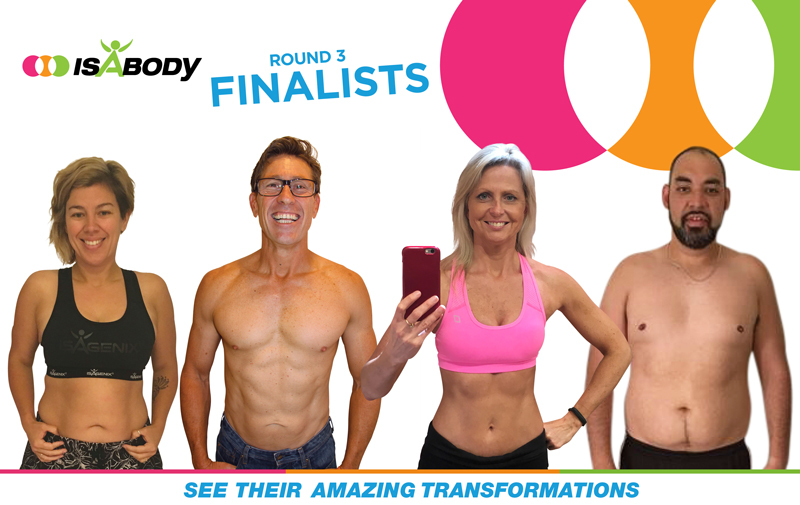 Meet Your Round 3 IsaBody Challenge Finalists! Congratulations to our 2017 Round 3 IsaBody Challenge Finalists! Check out their incredible transformations right here.